In most cases the students will have their own bags of number cards with which to work. Easily collect them at the end of the activity, store them in a container, and you’ll be ready for the next time you use them. K.CC.B4 Understand the relationship between numbers and quantities, connect counting to cardinality. K.MP.7 Look for and make use of structure. K.0A.A1 Represent addition and subtraction with objects, fingers, mental images and drawings. First produce copies of the printable cards using construction paper or a thicker type of paper so that the cards will not tear easily. To prepare the materials, you may choose to cut the cards apart yourself if your students are not yet ready for cutting activities. Add another card for a zero if you choose. As you cut and separate the cards, put each set in a zippered plastic bag. Prepare one bag for each student. 1. 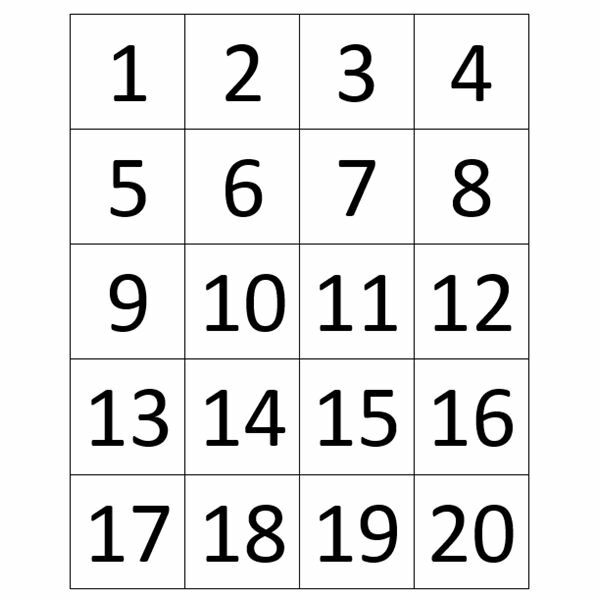 If you are working on the numbers 1-10 you will only use those cards in your zip-lock bags. Give each child a bag and when you say, “Start" the children should open the bags, dump them out and place the numbers in a row in order. When complete the child should raise his/her hand and you will walk around and check them. 2. Variation on #1: The students have partners and check each other’s work. 3. Variation on #1: Add numbers 11-20 to the zip-lock bags and do the same activity. 4. Draw a group of objects on the board or display a group. Ask children to hold up the card that represents the number of objects. How many students are absent today? How many children sit at your table? How many shoes are you wearing? 6. Place a child in the front of the class and instruct the child to call out a number between 0-20 while the rest of the students hold up the number. 7. Use two sets of cards and place them face down on the floor. Each child chooses a number and gathers the same amount of objects as the number on the card. The child takes the card and the objects and displays them in front of him/her at his/her seat. 8. Take one card out of each bag ahead of time. Place those cards face up on the floor. 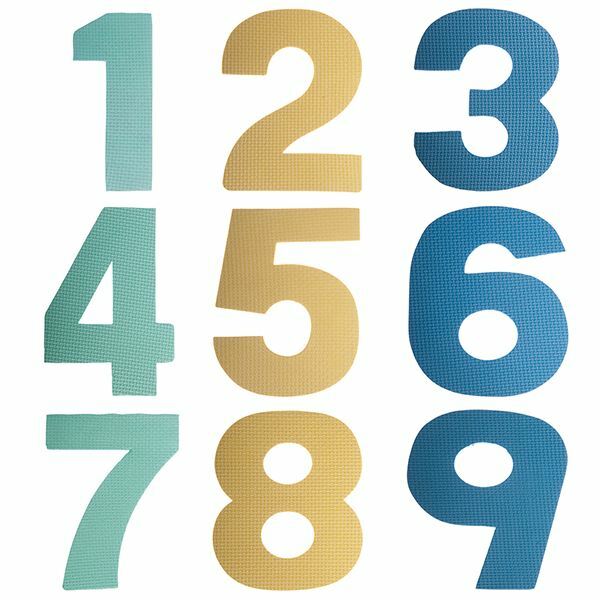 Students should then take a bag, put the numbers in order and decide which number is missing. Next the students should find their missing number on the floor and put it in the right place in the row of numbers at their seats. 9. As you work on addition and subtraction, you can use the cards to practice. For example, with the cards in order in front of the students, say, “Put your finger on number six. What number is two more than six?" Or you could say, “ What number is two less than seven?" 10. Mental math practice is easy. With the cards in front of each student, give them a number problem (Say, “Two plus four equals what?") and instruct them to hold up the answer. 11. Students work in pairs. Place one set of cards mixed up between the pair. One student closes his/her eyes while the other takes a number away. Then the student opens his/her eyes and figures out what number is missing. 12. Missing addend practice can be done with the cards. Students place the numbers in order in front of them. Then say, “If you have two apples and you need five apples how many more do you need?" (2+___= 5) Students place fingers on the number two card and with the other hand count to find out how many cards it takes to get to five.